To book onto one of our courses all that’s left for you to do is complete our quick and easy booking form. Some of the information might be filled in for you already, depending on which course you’ve pre-selected, if not just choose the lesson plan you want to take part in. 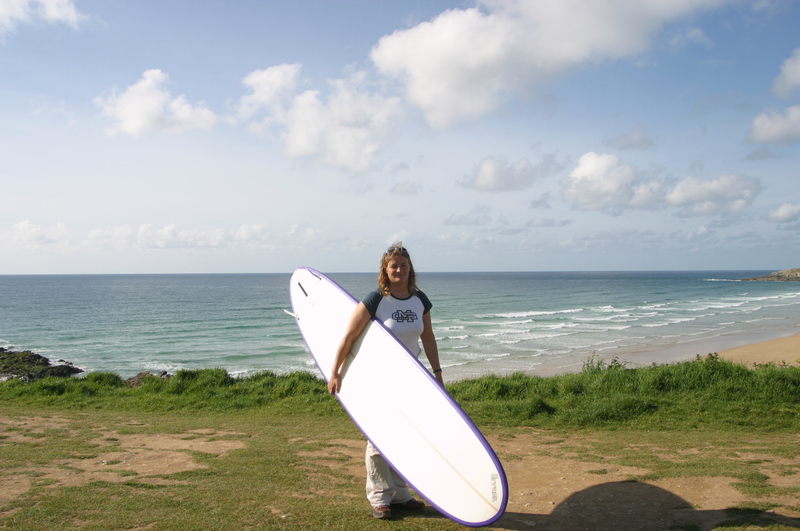 We will need to know the dress size and shoe size of all surfers so we can provide you with the correct sized equipment, since all equipment hire is included in our lesson prices. Please consider providing us a mobile contact telephone number if vacationing, incase we need get in touch. Once you’ve filled in all the necessary details, click the ‘Continue’ button to move forward and book your place with us. You will receive a confimation email. Please read our Terms and Conditions and a deposit payment signifies you agree. etiquette. 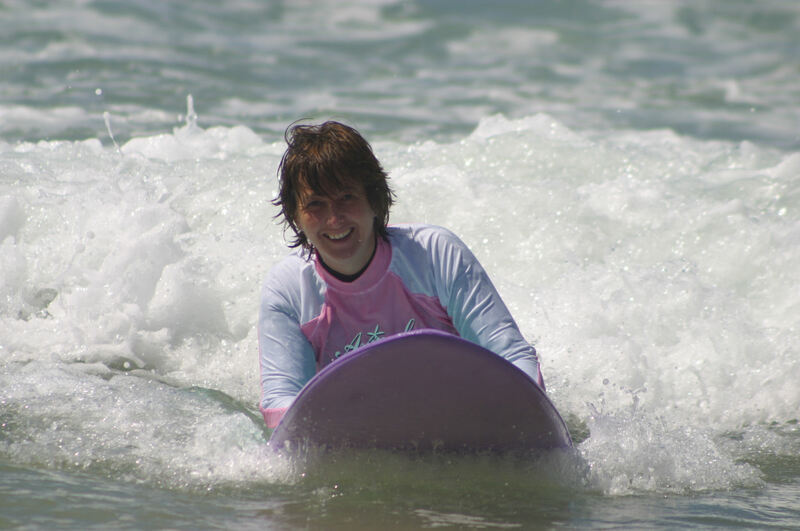 We also teach you basic surfing techniques, allowing you to feel comfortable in the water and have fun practicing standing up on your board within a supervised group. A 21/2 hour private lesson for all the family. Yes Dad and brothers can join in too. This special package allows family and friends to learn together as a private group with your own personal instructor. (Min of 3 per group). Family surfing lessons give you the basics of beach safety, surf awareness and surfing etiquette. This is something we consider essential for families living an active beach lifestyle. 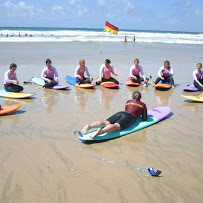 We also teach you basic surfing techniques, allowing you to feel comfortable in the water and have fun practicing standing up on your board within a supervised group. Extra sessions are available at a discounted price. 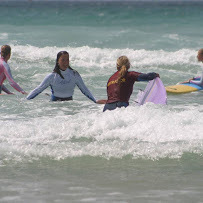 Our full day surfing lessons give you the basics of beach safety, surf awareness and surfing etiquette. 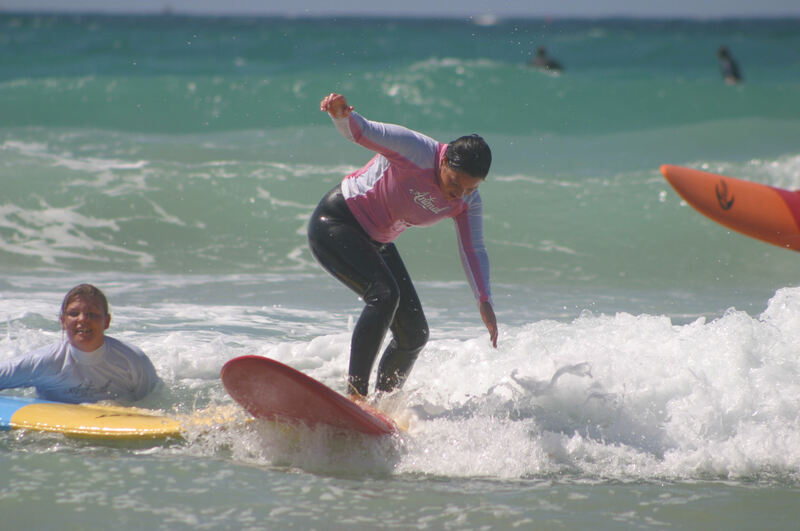 We also teach you basic surfing techniques, allowing you to feel comfortable in the water and have fun practicing standing up on your board within a supervised group. The additional afternoon session allows you to consolidate what you've learnt in the morning and practice your technique in the water, under the watchful eye of our instructors. 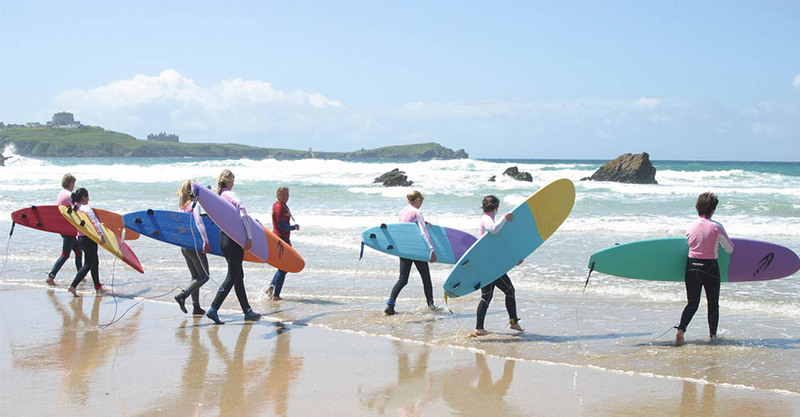 Our 2 day surfing course gives you the basics of beach safety, surf awareness and surfing etiquette. 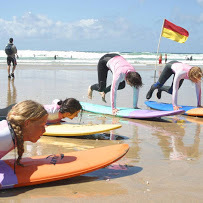 We also teach you basic surfing techniques, allowing you to feel comfortable in the water and have fun practicing standing up on your board within a supervised group. 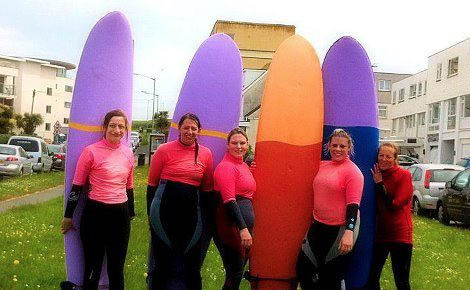 Over the duration of the 2 days our instructors will help you develop your style and wave riding within a friendly and relaxed group. 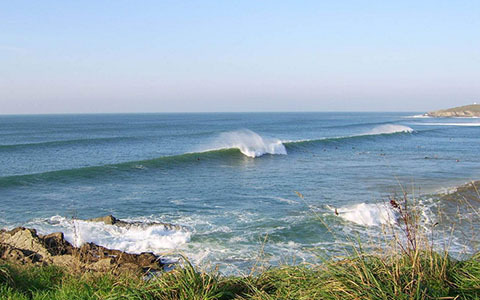 Our two day course consists of approximately four hours surfing each day with a break for lunch. Extra sessions are available at a discounted price . One to One personal tuition is available and tailored to each client. Sessions consist of approximately 2 hours surfing. The course is specifically structured to consider the surfer's ability. 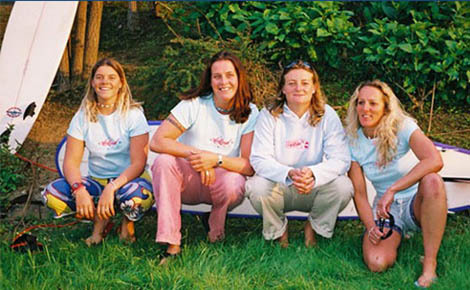 To secure your booking and make everything final Hibiscus Surf School requires a £25 deposit per booking. We accept Cheques, Cash or postal orders. By completing payment process you are agreeing to Hibiscus Surf Schools Terms & Conditions* as listed below payment section. Please take the time to read these before continuing, Thank you. Hibiscus Surf School will do all we can to help change your dates but this is subject to availability. All surfers must sign and complete a medical questionnaire and obtain parent/guardians signature on the application form if under 18 years old.